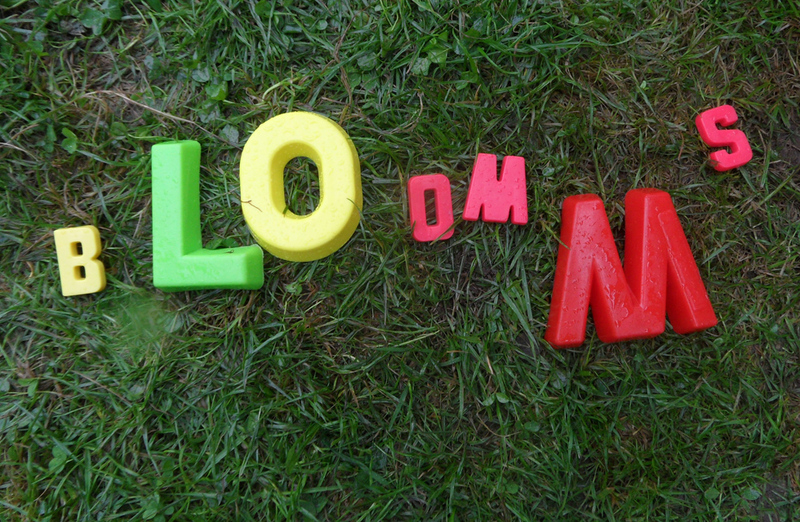 On a slightly less than sunny Friday in August (that means it rained most of the day! 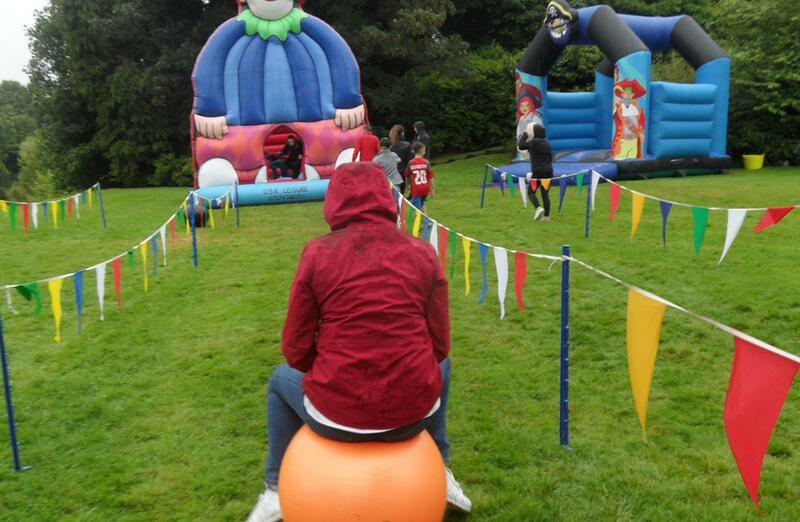 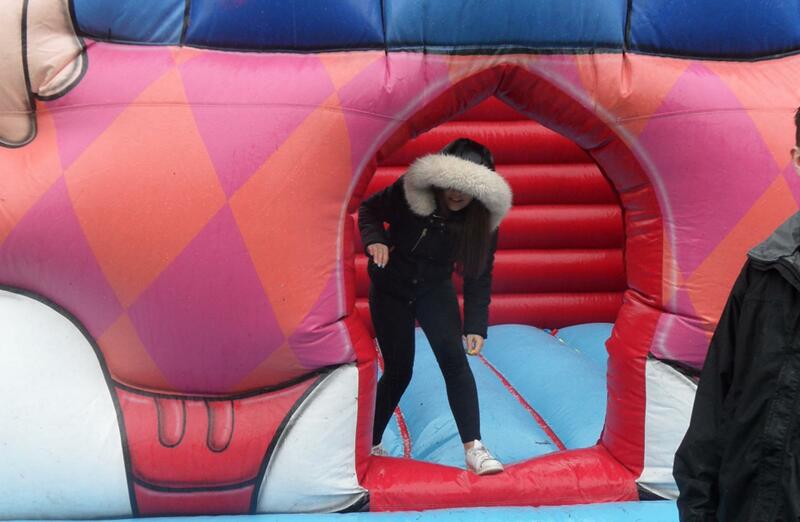 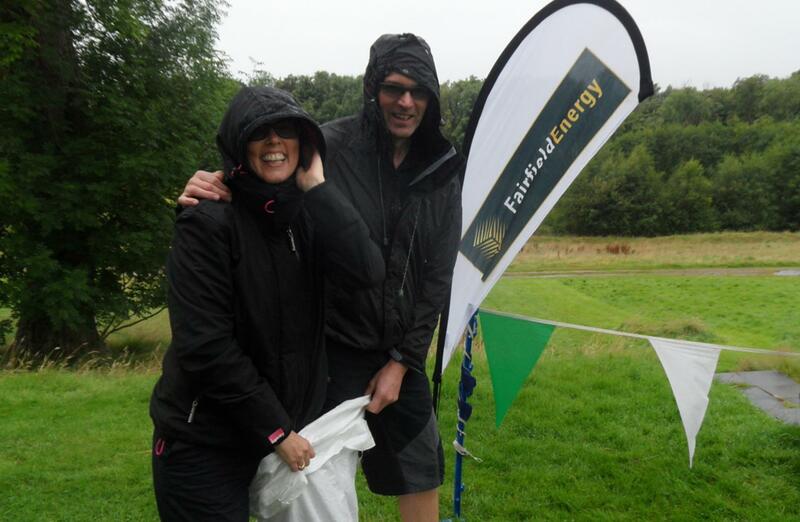 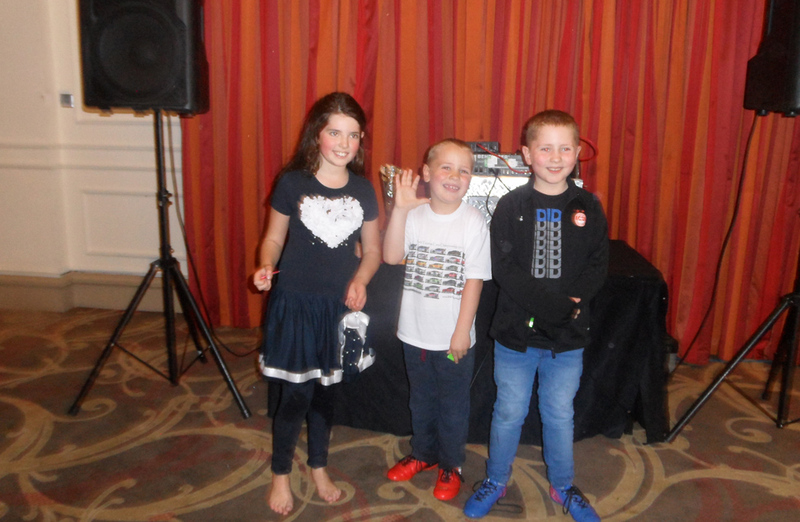 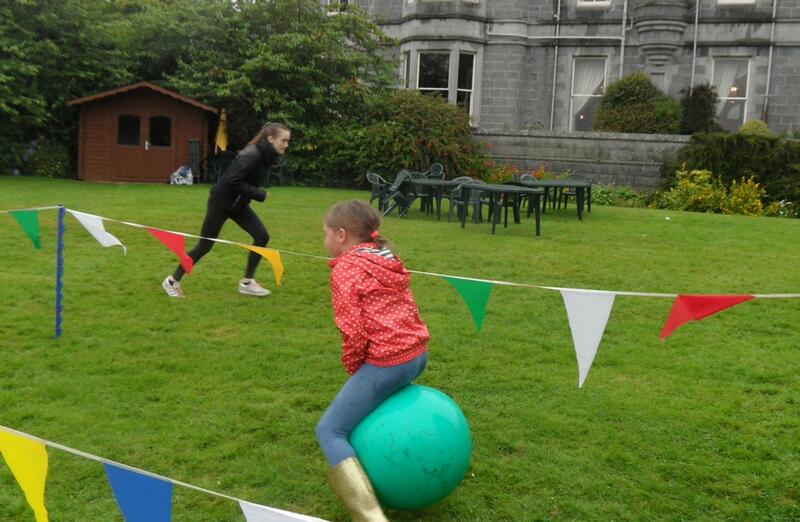 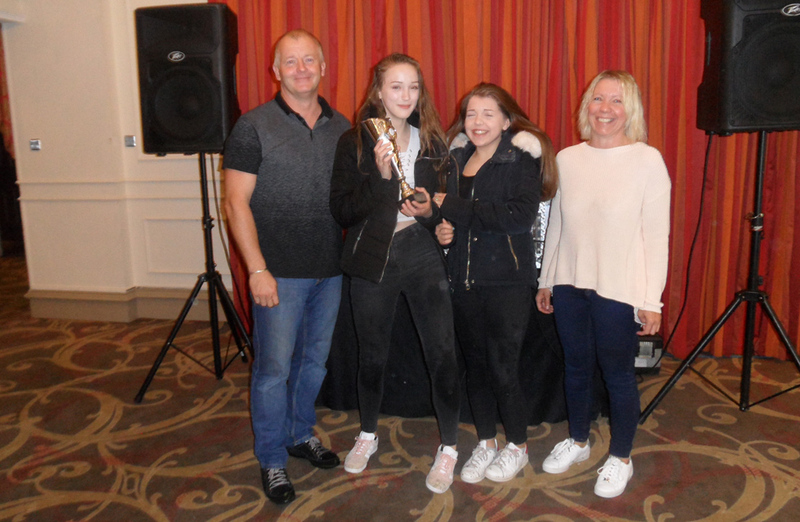 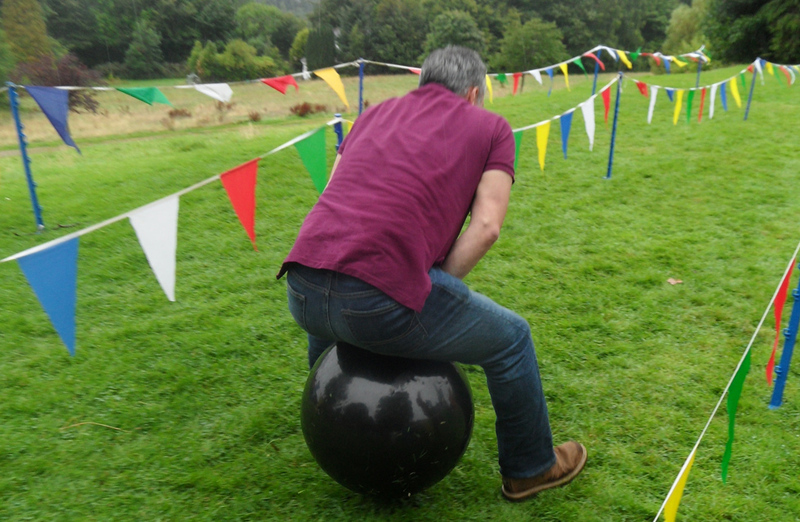 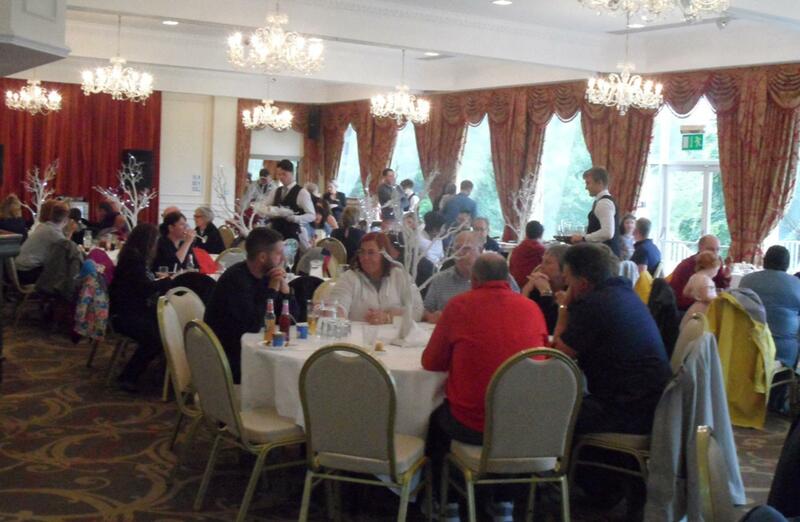 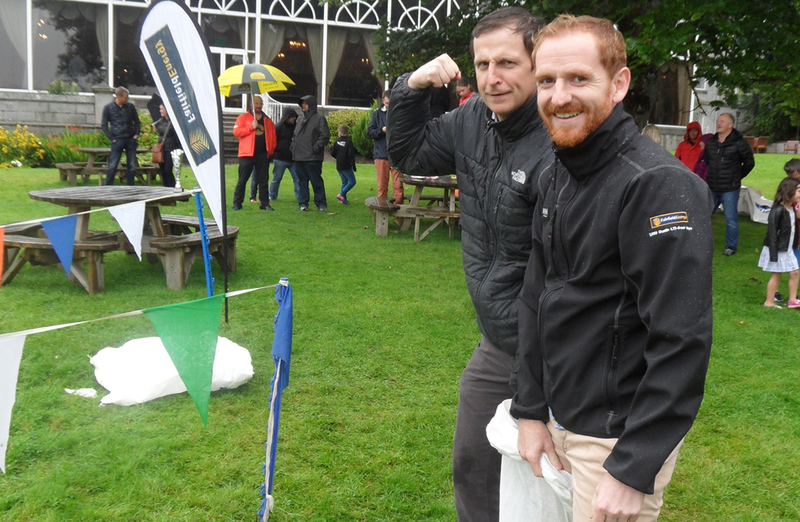 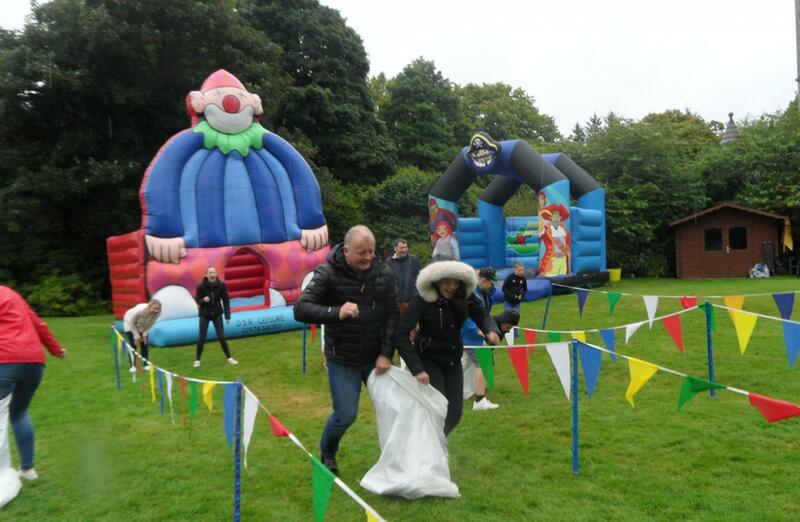 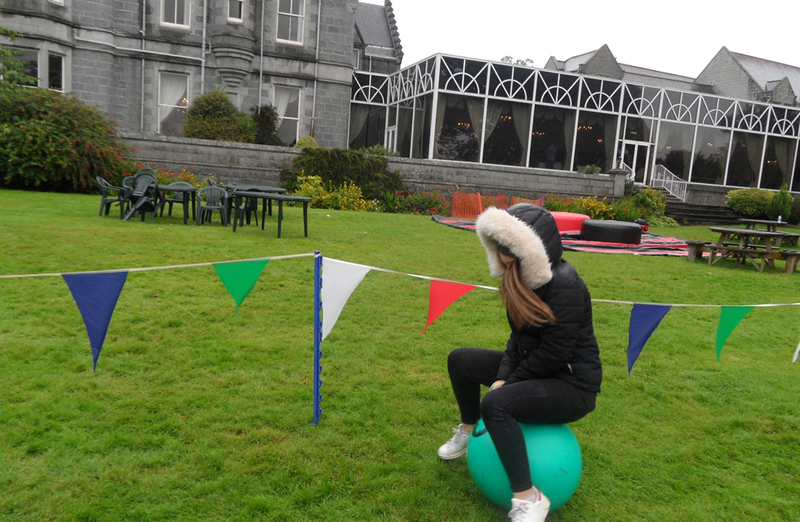 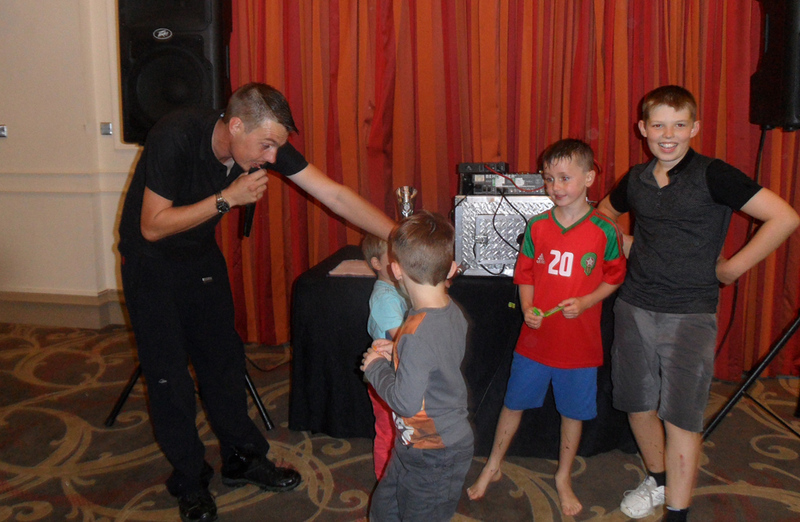 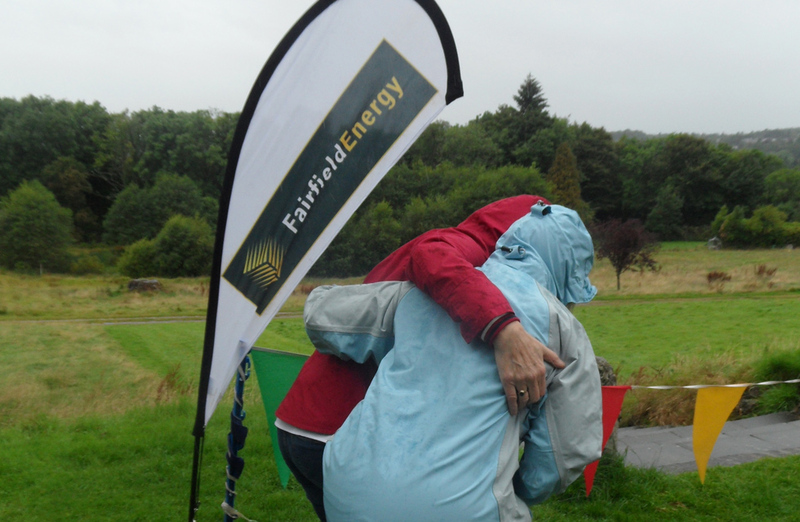 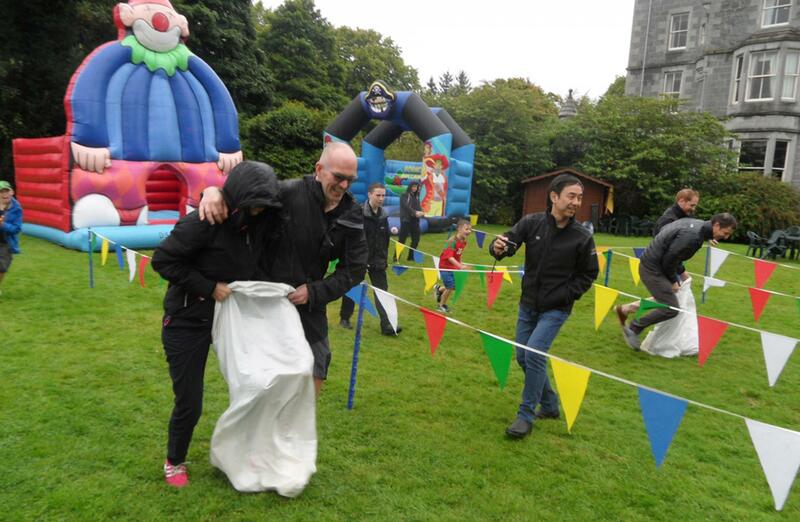 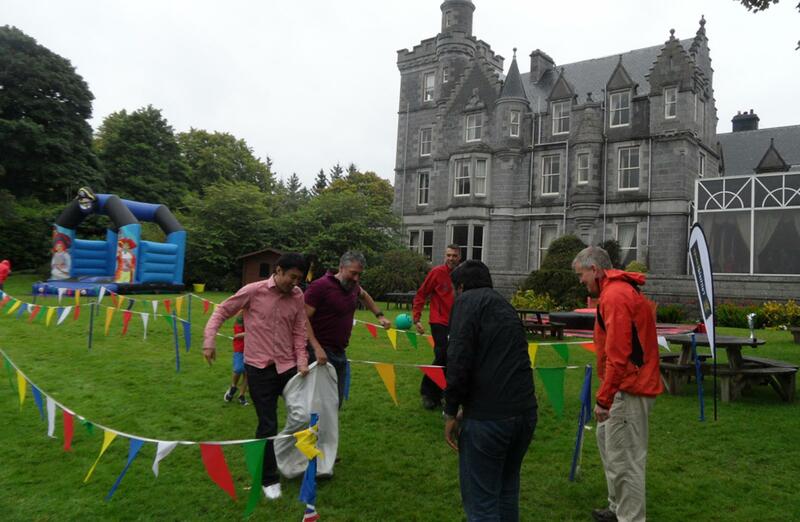 ), Team Challenge Company hosted a superb afternoon of fun filled entertainment for Fairfield Energy on the exclusive grounds of the beautiful Ardoe House Hotel. 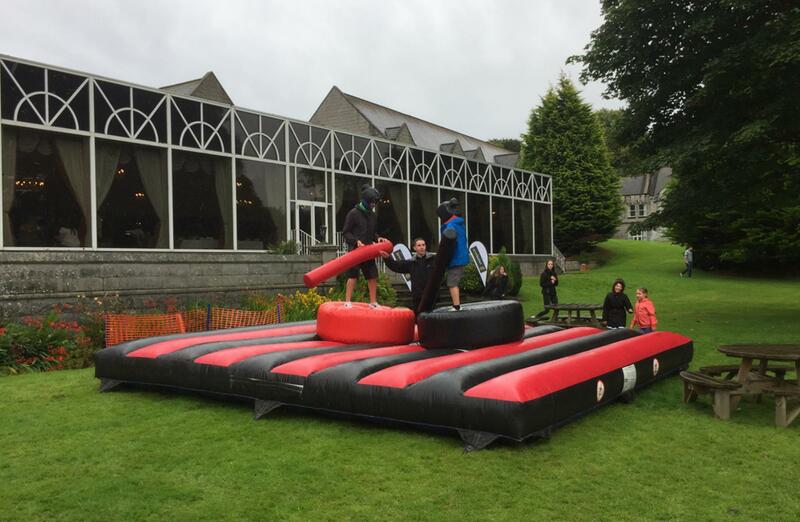 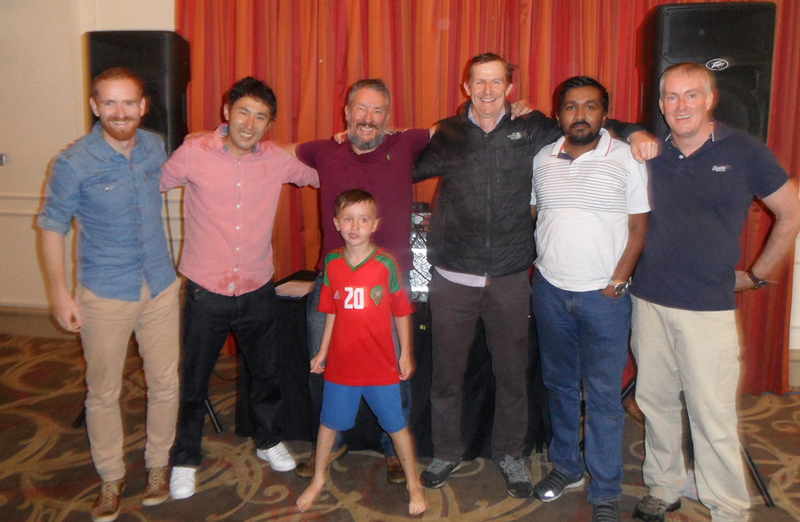 After a delicious BBQ lunch was served and thoroughly enjoyed everyone was fuelled up for the rest of the Corporate Fun Day and the Surf Simulator competition that was to come. 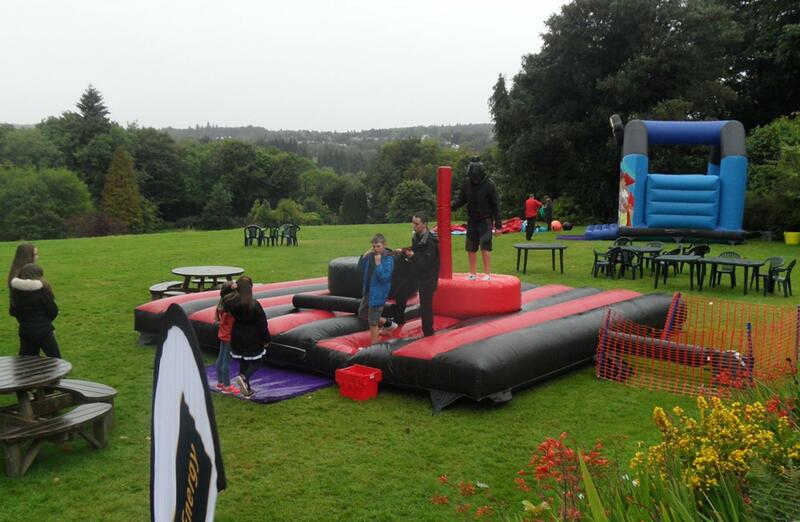 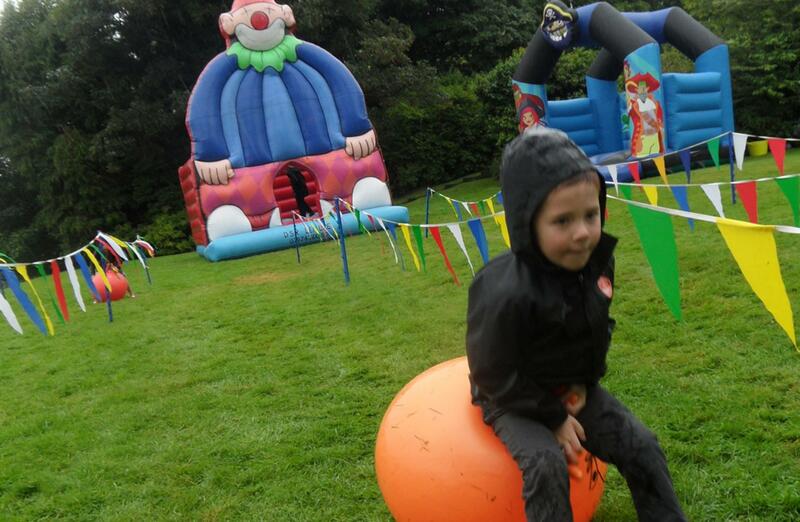 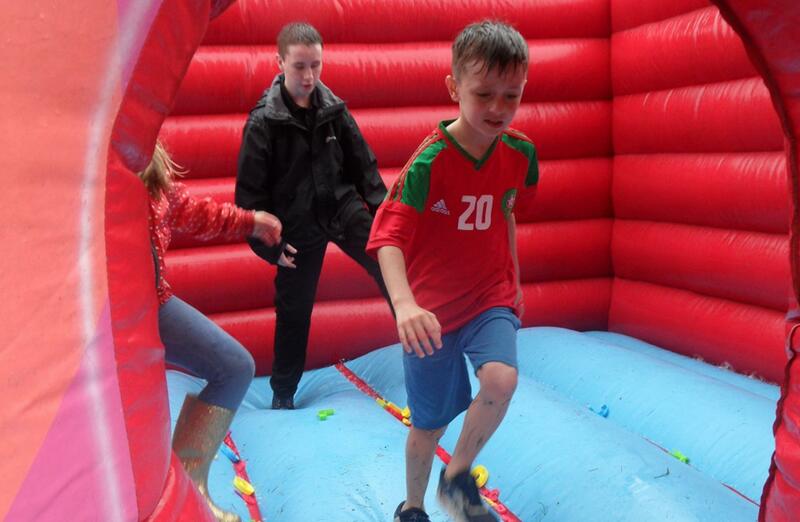 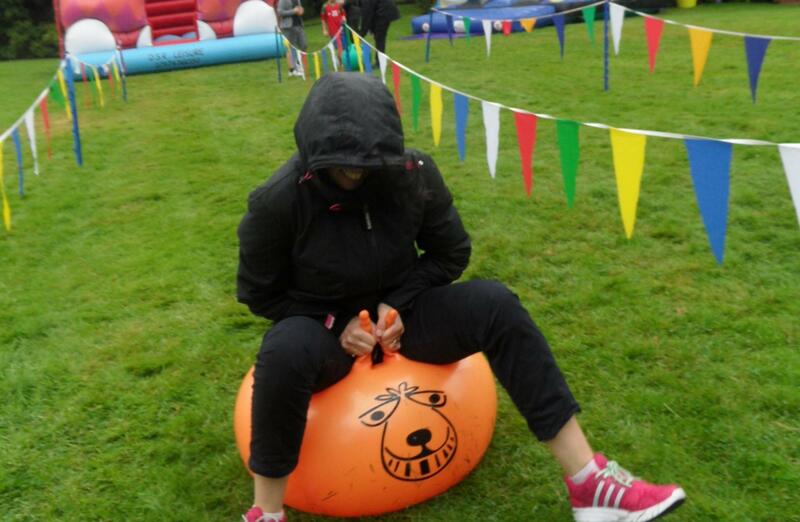 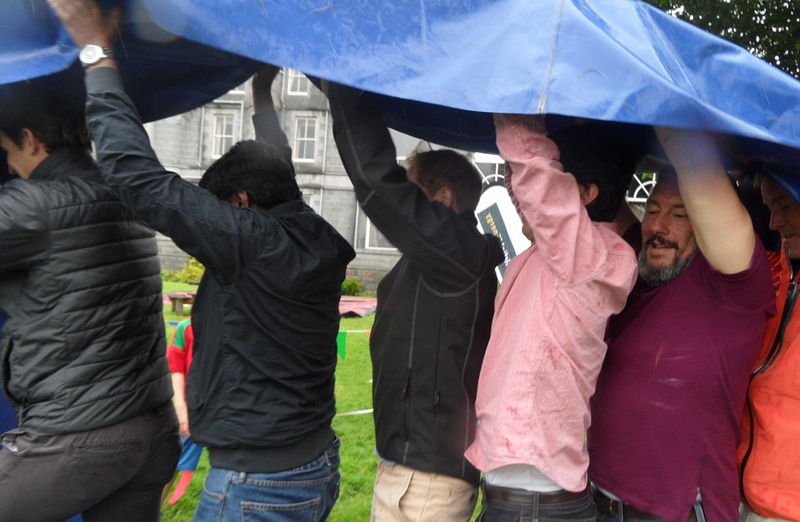 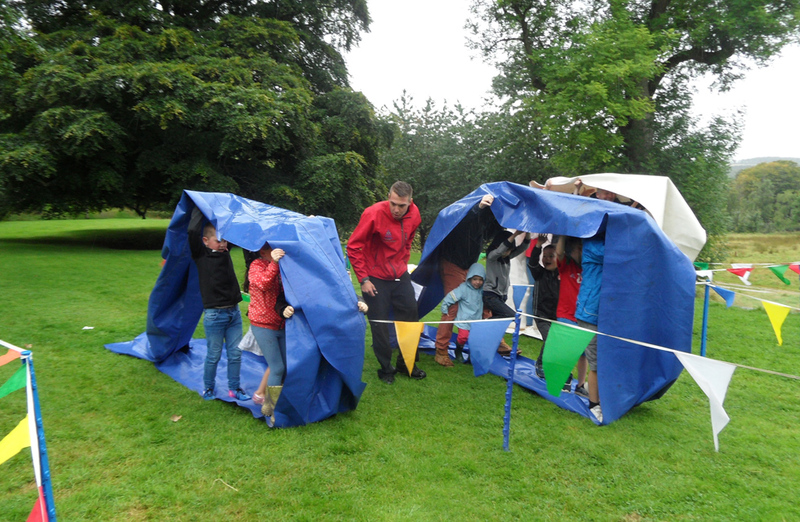 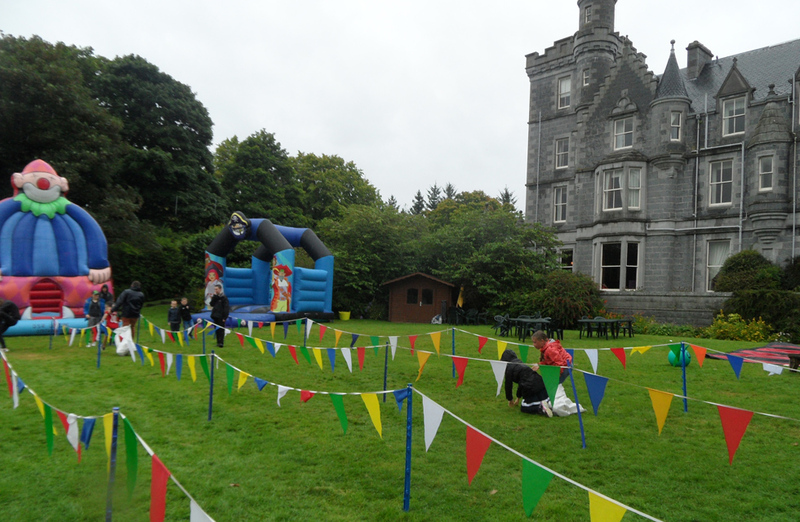 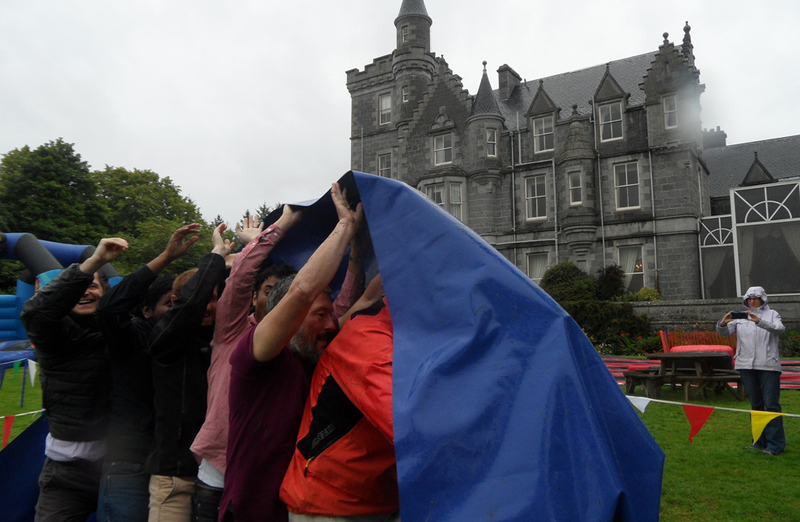 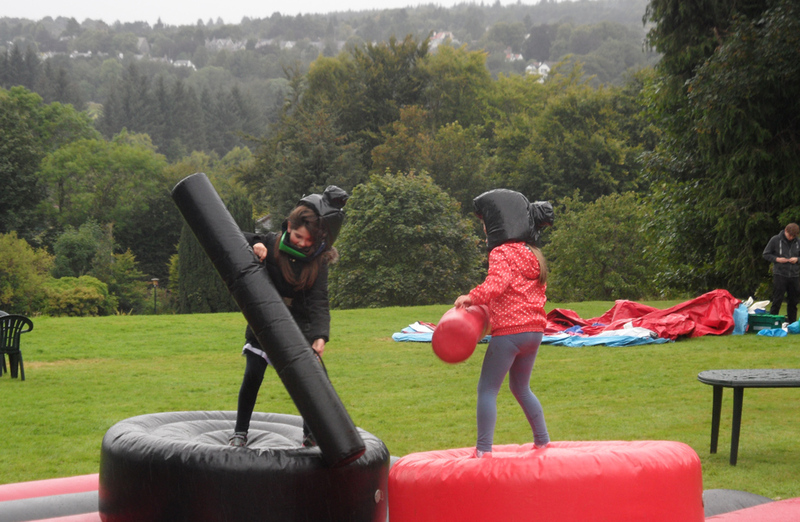 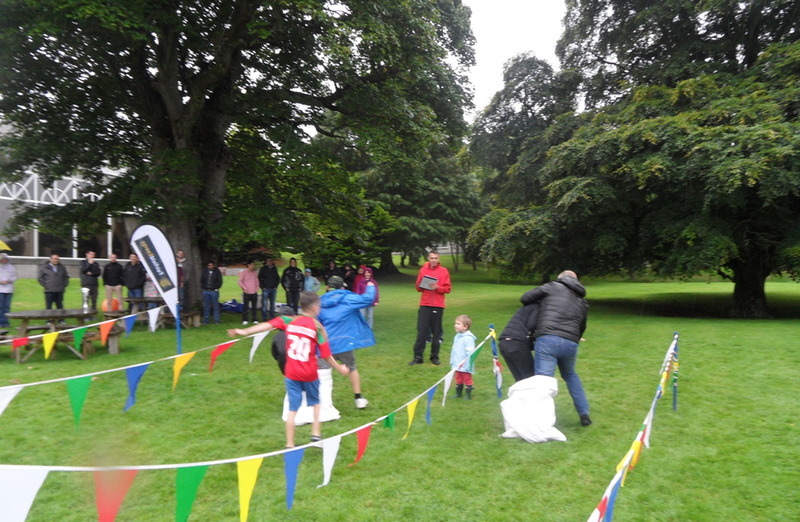 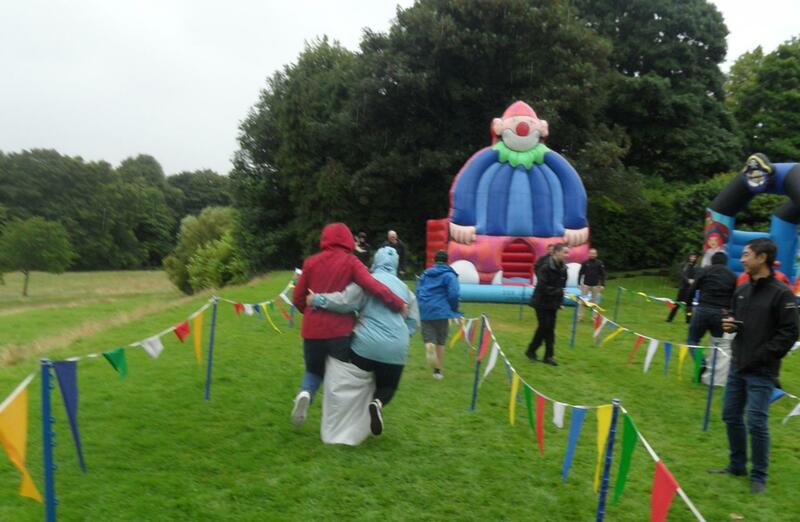 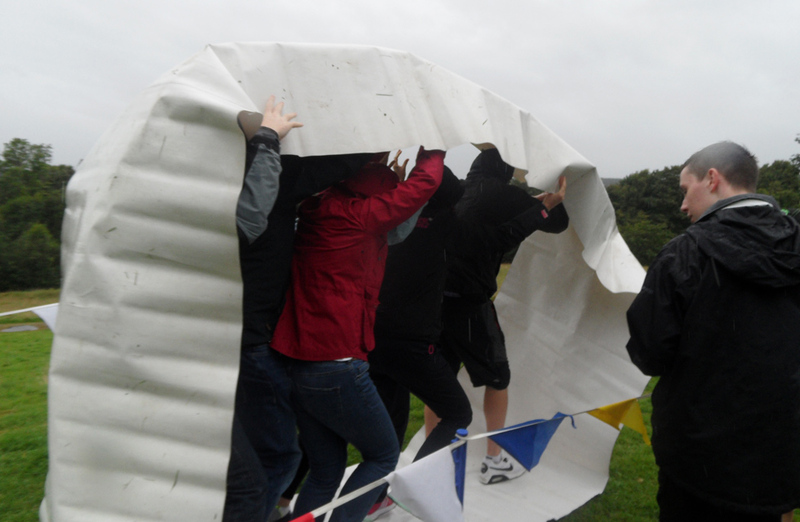 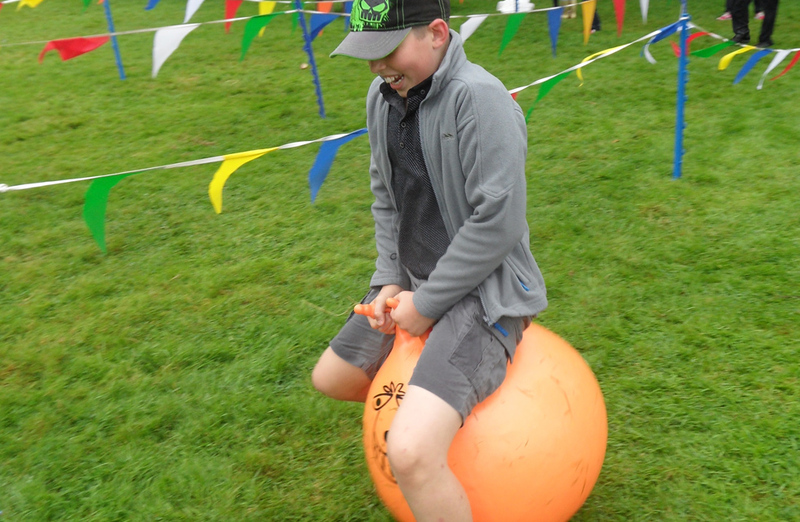 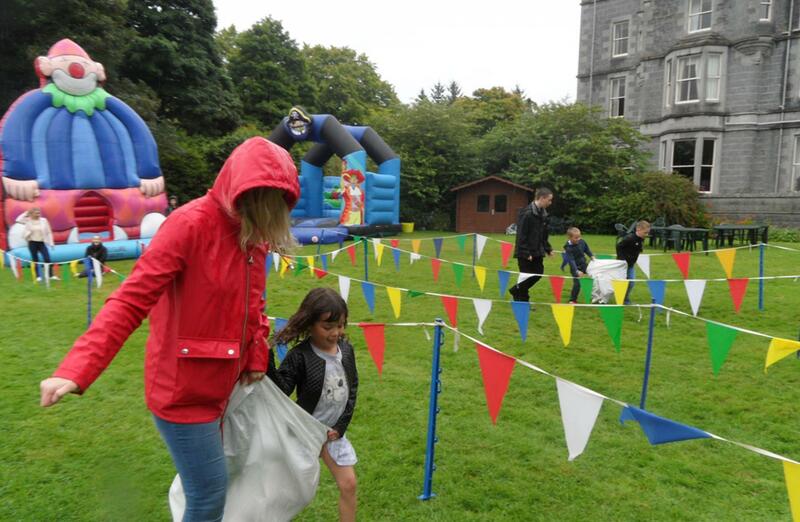 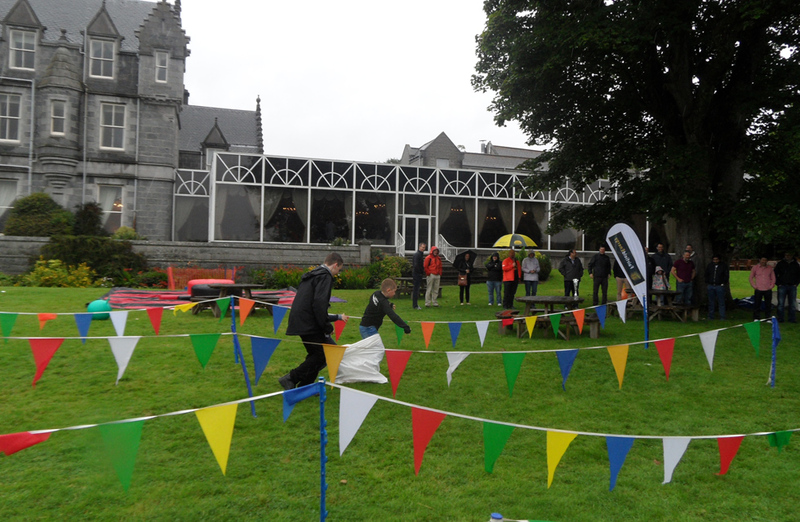 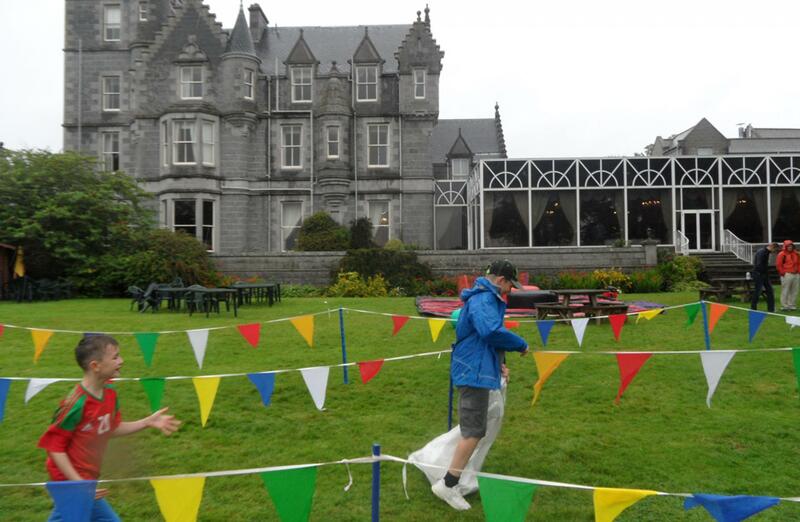 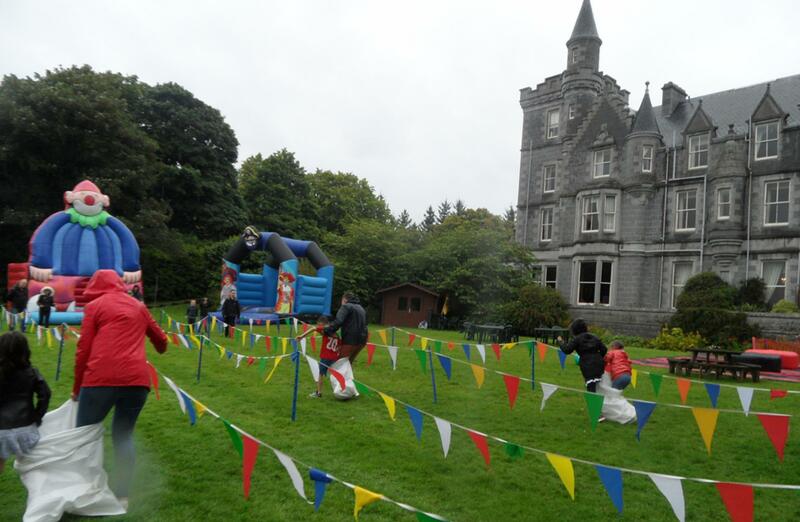 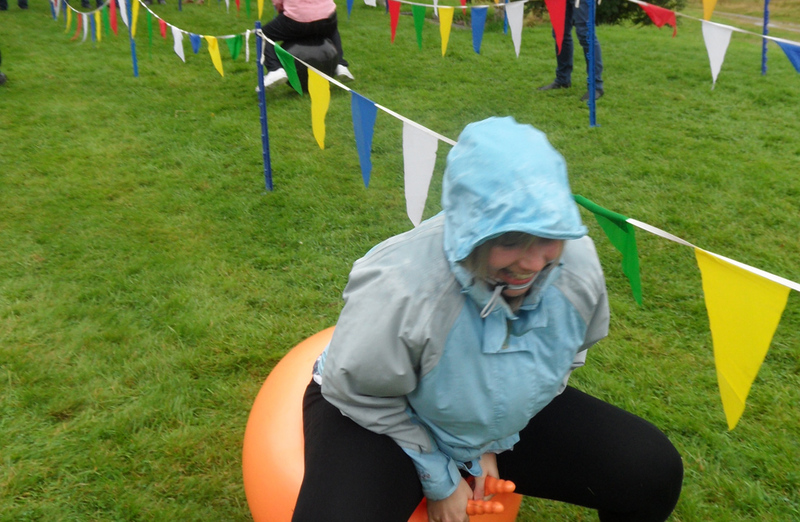 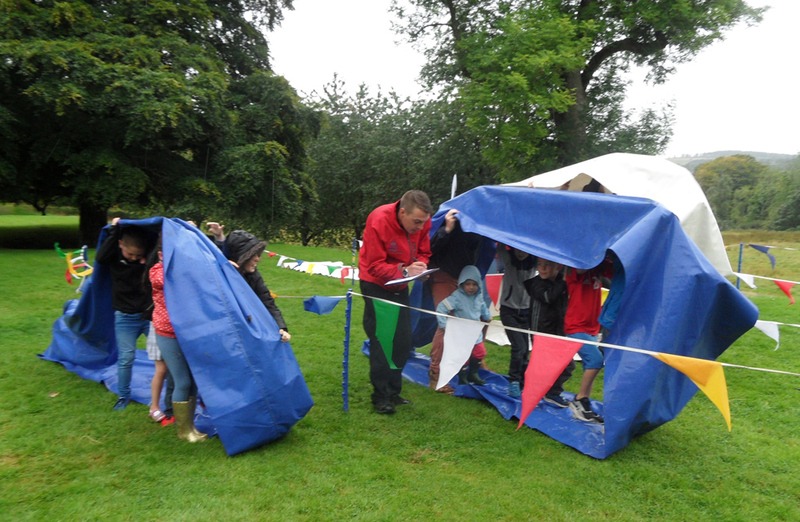 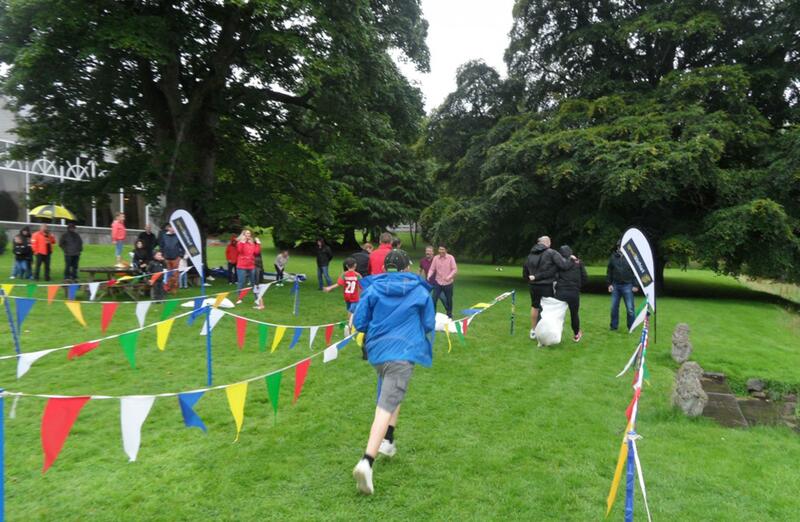 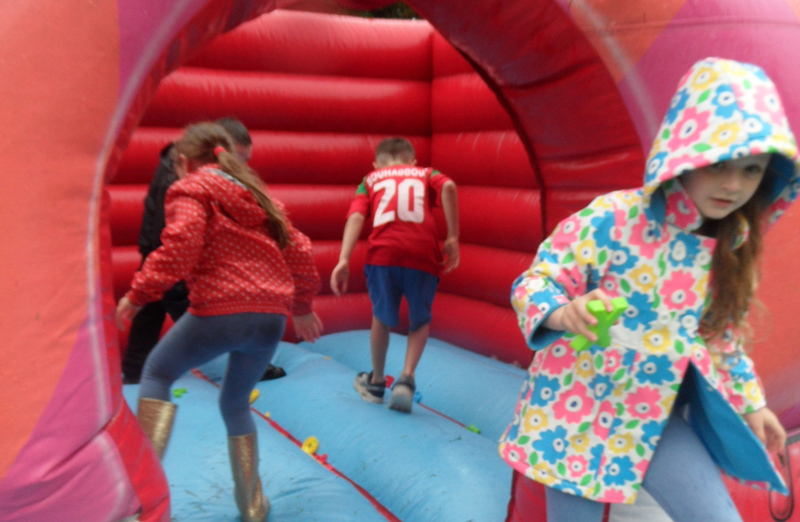 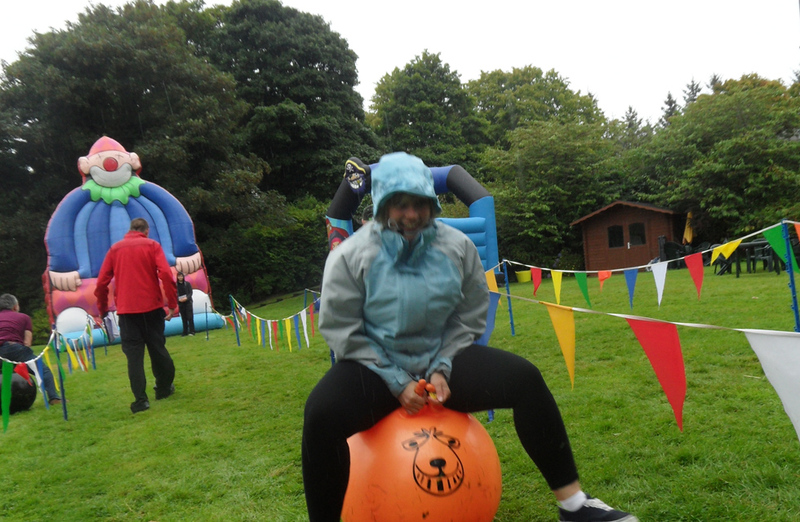 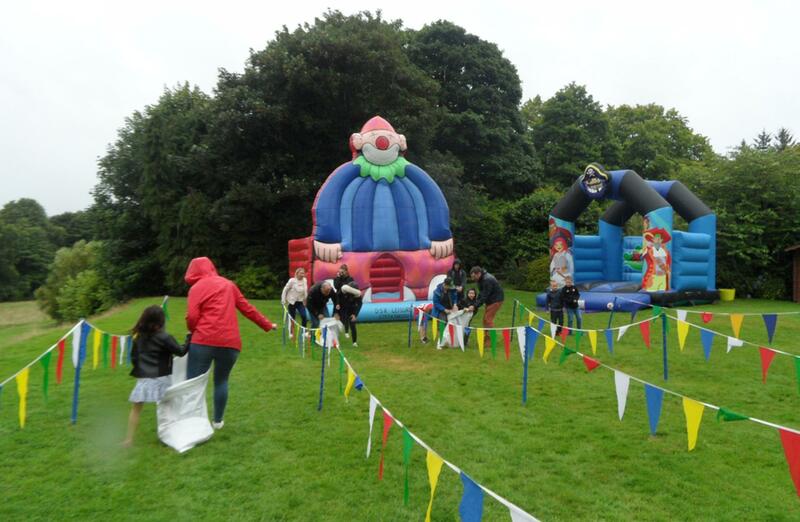 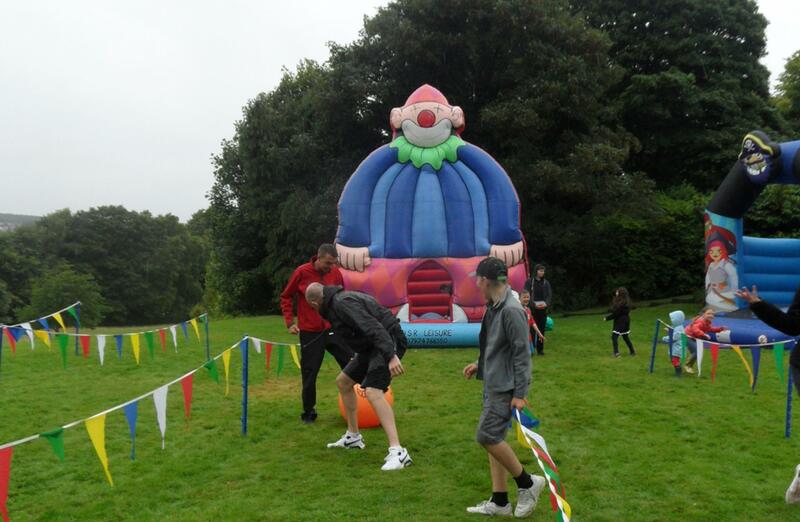 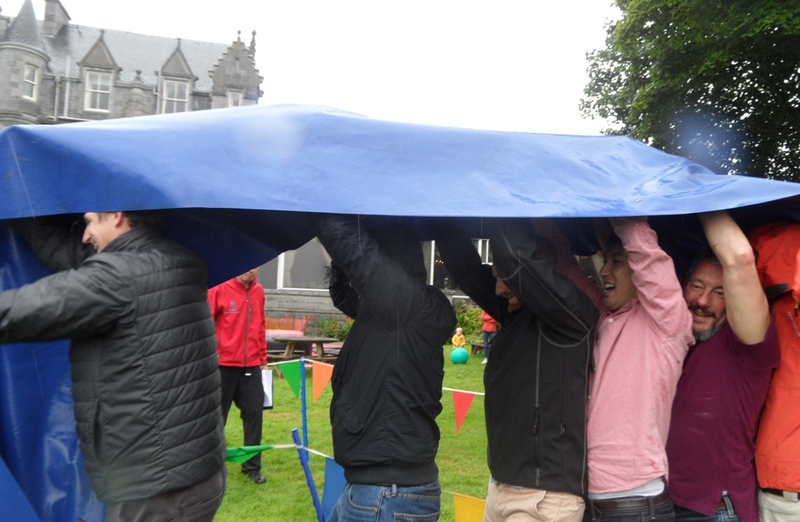 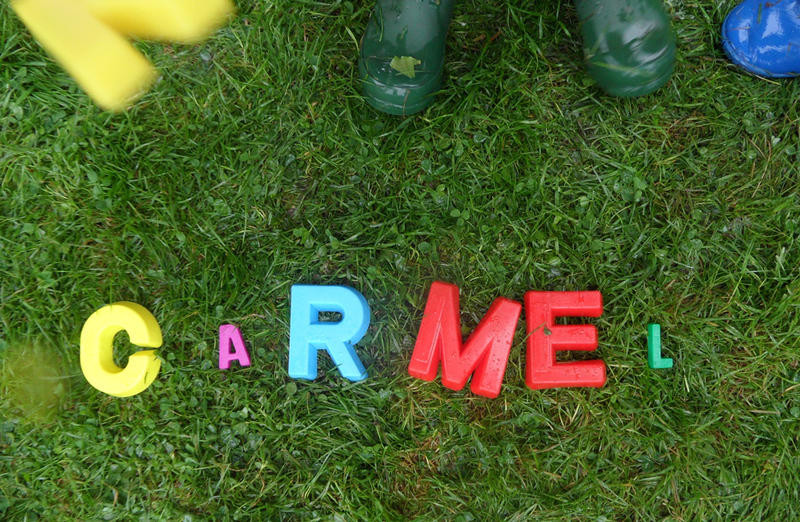 As children enjoyed playing even in the rain – just look at those photos the knockout races loomed the crowd organised themselves into their teams. The children went first and after a thrilling few races the result was deemed a draw and every child received a sweet for their efforts. 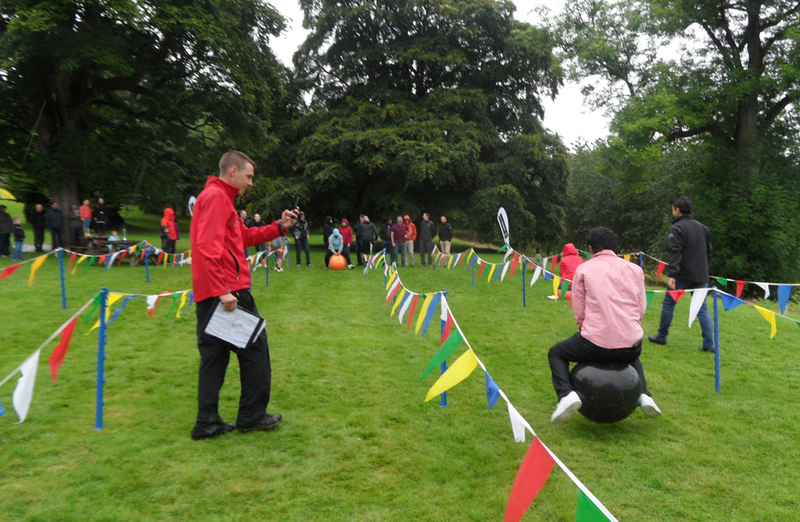 Then the real team competition began as the adult teams began to compete for the Team Challenge Company Winners Trophy. 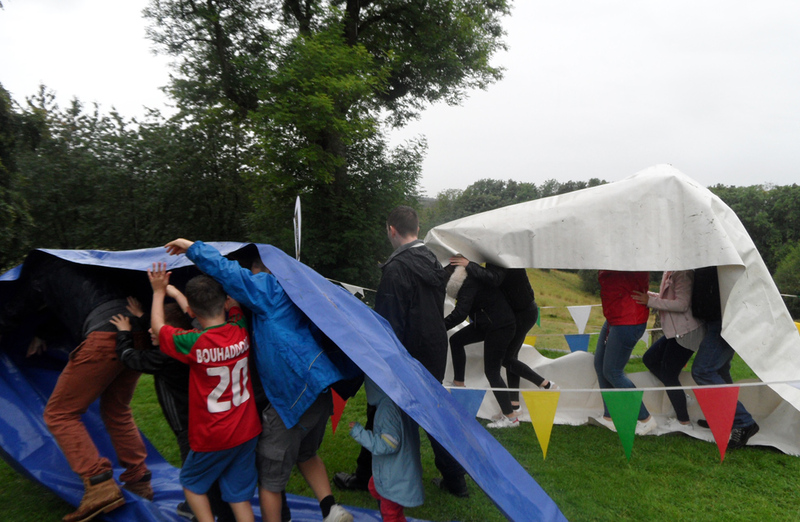 Each team had their strengths and weaknesses on our races and competitions but it was clear as we went through who would be our day’s winner. 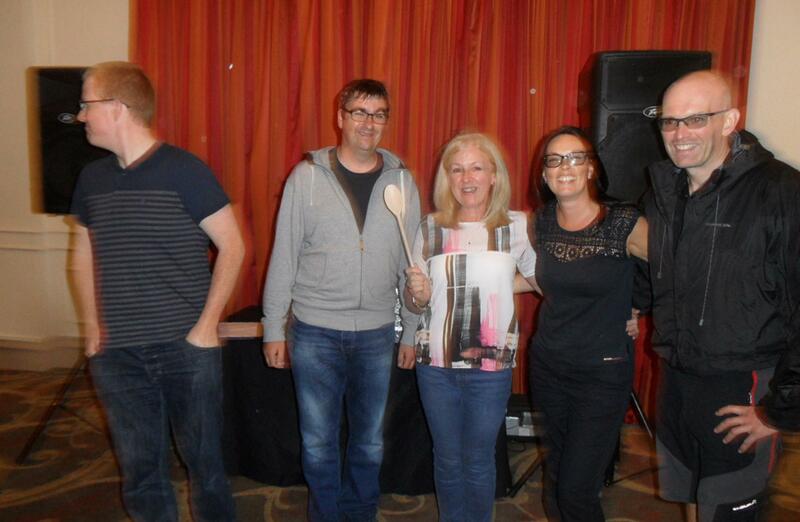 It was all down to the competitive team four to take home the trophy. 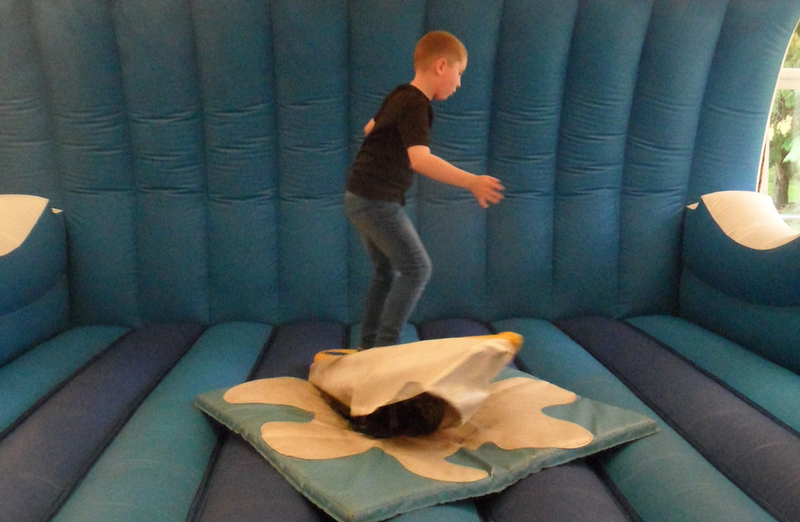 As the crowds flocked over to the Surf Simulator, indoors we knew the competition was going to be fierce. 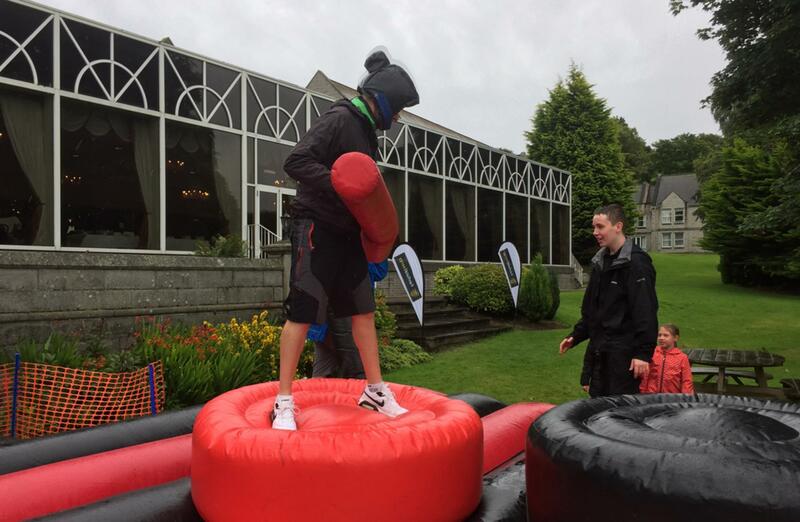 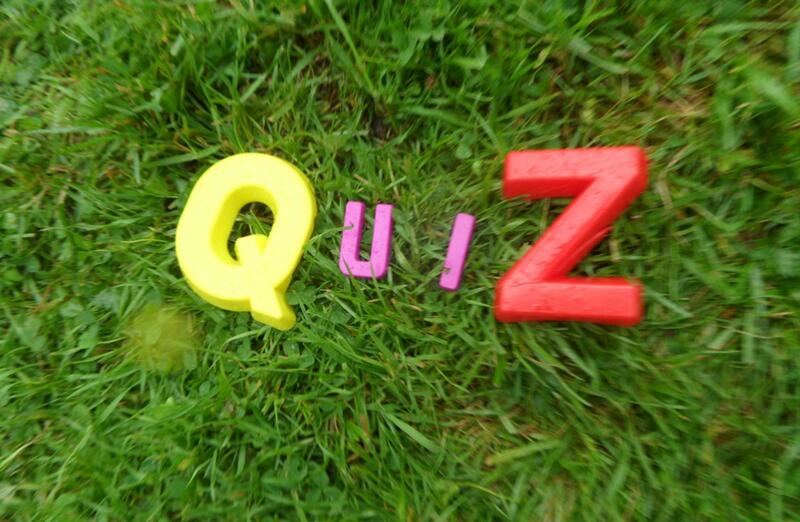 Would the guests' practice session help the participants to win or would they crumble under the immense pressure? 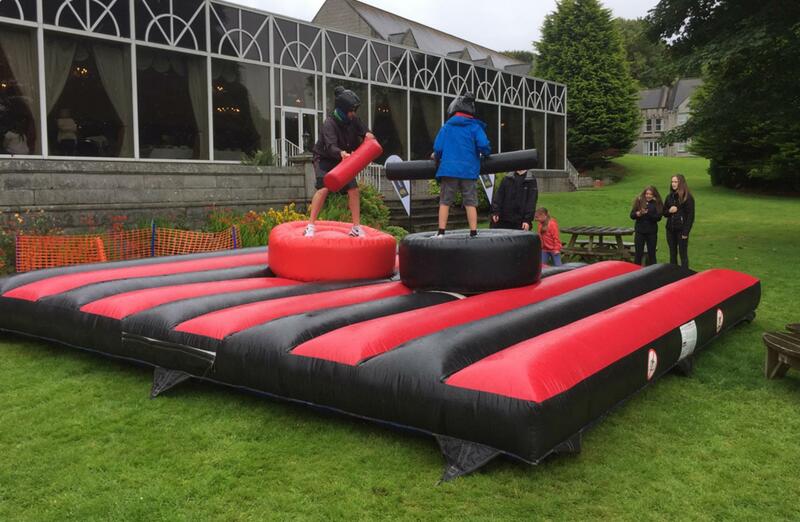 The fight was on between children and adults to see who could stay on the bull the longest. 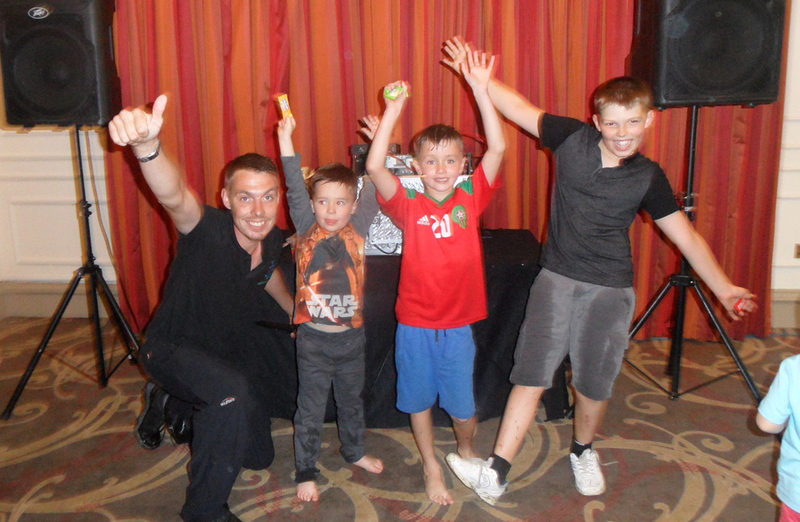 On this occasion it was down to the adults to beat the children and go home our Surf Simulator Champions! 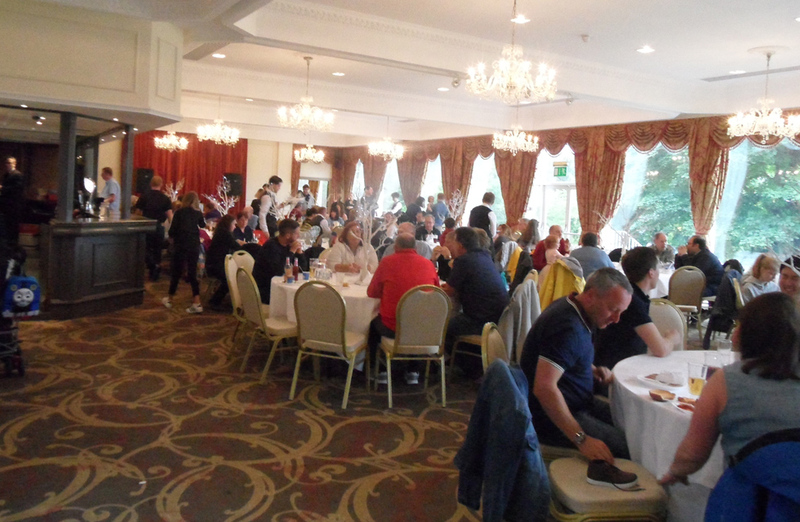 A wonderful afternoon had been thoroughly enjoyed by all in attendance, as our guests departed with big smiles and lots of high-5s. 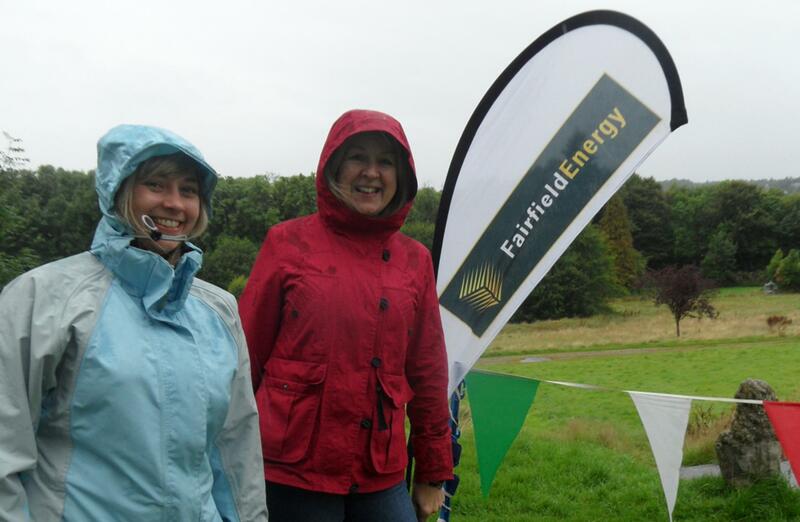 We very much hope that everyone at Fairfield Energy had a fantastic afternoon with us, and very much hope to see you all again soon. 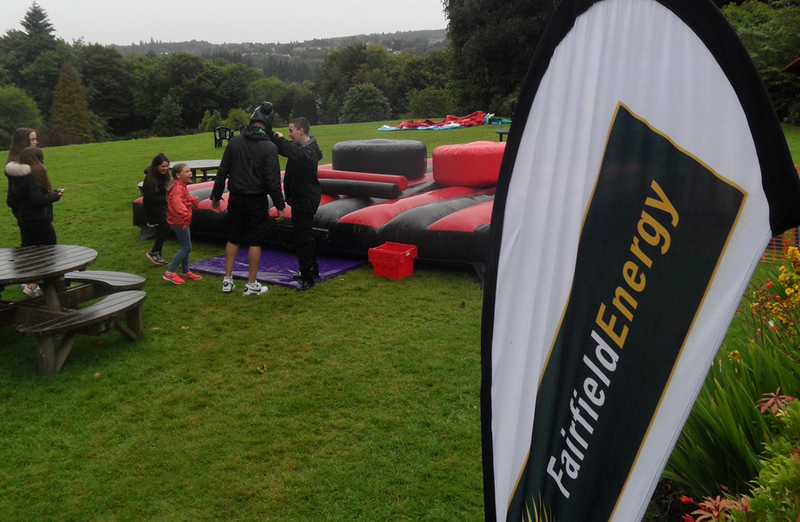 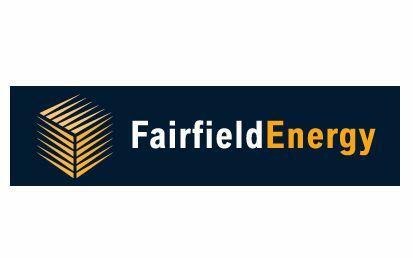 Great to work with Fairfield Energy at the brilliant Ardoe House Hotel!